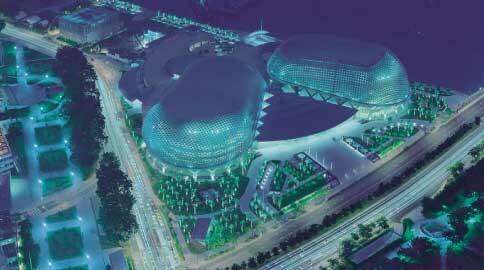 A ceremony was held on October 12, 2002 for the opening of the Esplanade-Theatres on the Bay, in Singapore. The state-of-the-art facility houses galleries, concert halls, theatres, studios, hotels, and retail stores. The main tower is a model of modern ingenuity and incorporates many high technology functions. The complex is expected to become Singapores center for artistic and cultural activities.